More than 1000 requests have been made in the first year of the Disclosure Scheme for Domestic Abuse in Scotland (DSDAS), Police Scotland announced today (Saturday, October 1). Of the 1,044 requests for disclosure between October 1, 2015, and September 29, 2016, 443 disclosures have been made - of those 371 people have been told their partner has an abusive past. DSDAS rolled out nationally on October 1, 2015, aimed at tackling and preventing domestic abuse. Through the scheme people can request a disclosure if they believe their current partner may have an abusive past, or a request can be made on their behalf. Nearly 60,000 incidents of domestic abuse were reported to Police Scotland in 2014/15. 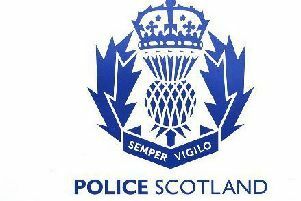 Domestic abuse is a top priority for Police Scotland. Around 20 per cent of police time is spent dealing with domestic abuse incidents. On average, a domestic abuse call is received by Police Scotland once every nine minutes, placing a substantial demand on the service. Chief Constable Phil Gormley said: “Domestic abuse is a despicable crime and a blight on society. “The Disclosure Scheme for Domestic Abuse Scotland is part of a long term approach to supporting potential victims. In some instances, such a disclosure can break the cycle of violence and abuse, protecting many people. Working with our partners, we continue to support people through the disclosure process and to prevent people becoming victims. “Police Scotland will not tolerate domestic abuse – we will tackle it and we aim to prevent it destroying the lives of its victims, as well as those of children, who all too often witness such abuse. Cabinet Secretary for Justice Michael Matheson said: “Domestic abuse is an abhorrent and inexcusable crime. It robs victims of their right to have a normal, happy life and, in the worst cases, it can result in their life being taken away completely. That is why Police Scotland’s Disclosure Scheme for Domestic Abuse has had the full support of Scottish Government from pilot to national roll out and that included funding an awareness raising campaign as the Scheme was rolled out last year. “We knew it was the right thing to do as it is only right that people in relationships should have the opportunity to seek the facts about their partner’s background if, for example, they have concerns that their partner has a history of violence. The Scheme sends a strong and unequivocal message that domestic abuse is unacceptable and that we are committed to action that can help to reduce the risk of further harm. Dr Marsha Scott, Chief Executive of Scottish Women’s Aid, said: “Scottish Women’s Aid welcome any tool or service that increases the safety of women and children experiencing domestic abuse. It is good to see this evidence that the Disclosure Scheme is being used by police and by women, and we look forward to seeing the evaluation of the longer-term impacts of disclosure on women’s lives, space for action, and safety.